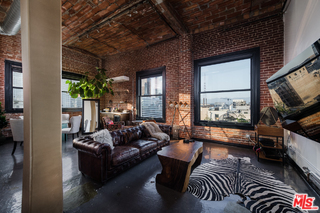 *FULLY FURNISHED RENTAL* Beautifully renovated NY Style Industrial Loft at the historic Higgins Building. Perfect as a corporate rental or pied-a-terre/hotel alternative. 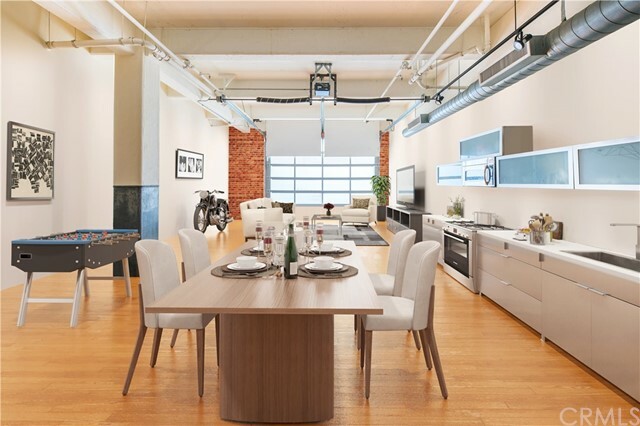 This bright & open loft home includes has 910 SQFT, 7 oversized industrial zinc plated windows, 11' ceilings, & polished concrete/mosaic tiled floors. Remodeled kitchen w/ contemporary cabinetry, marble back splash, SS appliances, & wine fridge. Indulge in warm baths w/ city views from the remodeled bathroom complete w/ marble tiled tub, new vanity, tiled flooring, & in unit Washer/Dryer. TV/Internet included. Rooftop BBQ & dining area offer stunning skyline views. 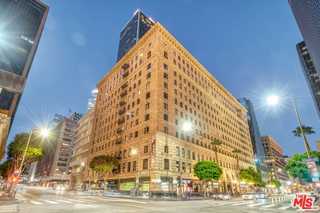 Steps from LAPD dog park, Little Tokyo, Grand Park, Grand Central Market, Blue Bottle Coffee, Redbird, Spring, Edison Bar & Lounge, fine dining, entertainment, museums, concert halls, & public transportation. A piece of living history, the Higgins building exemplifies the burgeoning community of art, culture, and entertainment in downtown.